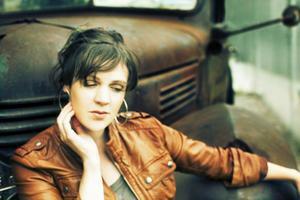 2013 is shaping up to be a sensational year for fans of Canadian folk music in the UK. Amongst others, Ruth Moody, Cara Luft, Old Man Luedecke and the Good Lovelies are all scheduled to visit these shores over the next few months but first out of the block is the alluring singer-songwriter Amelia Curran. A UK tour kicks off later this month with Amelia, a previous recipient of a prestigious Juno award, using the visit to promote her new album SPECTATORS. This is the sixth release from an artist committed to bringing the sounds from the outpost of Canada’s north eastern provinces to a wider audience. The St John’s born – Halifax based Amelia has followed the style of her previous releases with SPECTATORS offering the usual aggregation of enchanting tales, profound lyrics and a mellifluous sound. This unmistakable offering of distinct Canadian folk music displays the light of difference between it and that of its British counterparts. This is primarily down to the genuine vocals of Amelia which, while tinged with a dose of gritty realism, still remain remarkably tender. 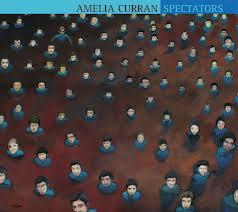 SPECTATORS is a collection of ten implicitly constructed songs that reflect the deep inner thinking of the culturally talented Amelia who has enlisted the help of some amazing session players to fine tune these self-penned tracks. The record may only last a shade over thirty minutes but it’s an intense listen which is the converse of instant gratification. Repeated listens will ultimately leave you rewarded as you sync your mind with the rhythmic undertones that begin with the beat that accompanies the opening track ‘Years’ and remains through the duration of the album. While the musical arrangements appear relatively straightforward, the subtle horns added to ‘What Will You Be Building’ and ‘In a Town (200 days)’ contribute positively to the feel of the record. Amelia’s vocals add an authenticity to the tracks and there is a mid song memorable non-lyrical addition to ‘Blackbird on Fire’. The two standout compositions on the album are ‘Strangers’ which immediately launches into an impressive explicit vocal statement with the line “I want to make you understand”, while the appealing sad reflective number ‘San Andreas Fault’ contains the metaphorical gem of a chorus line “the San Andreas Fault is on my heart”. Make no mistake, this is a release designed for those chilled out and mellow moments in life. The live performance of these songs, coming to a series of intimate venues throughout the UK, should be earmarked by fans right across the country, roots, Americana, folk and singer-songwriter spectrum. Alternatively, or even additionally, indulge yourself in SPECTATORS to accompany you in the calmer moments of life.